HPANWO: What Next for Nick Pope? 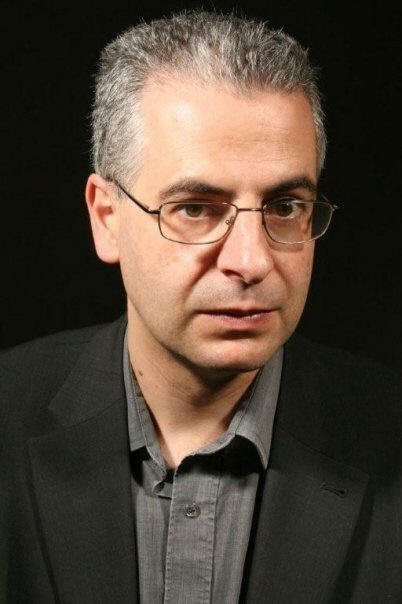 Here’s the official website of Nick Pope: http://www.nickpope.net/ Also see the HPANWO Links column. For many years Nick Pope has become a household name, going under soubriquets like: “The Man from the Ministry” and “the Real (or Britain’s) Fox Mulder”. UFO experts usually achieve fame, of sorts, only within the limited social circles that people who are interested in UFO’s cruise. 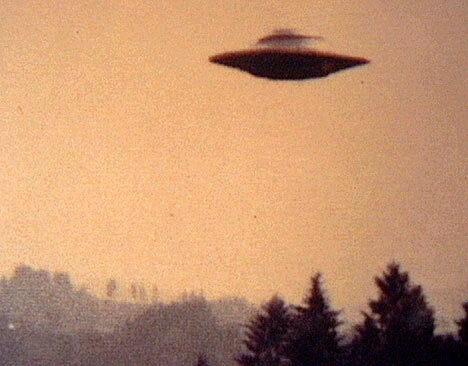 Names like Timothy Good, Stanton Friedman and Richard D Hall are ones many UFO-people I know are familiar with, but none of my Brother and Sister Porters have heard of them. However they all know the name Nick Pope! Some see this as ironic, and even suspicious. This is because Nick is renowned for being one of the most cautious UFOlogists in the business. He has gone out on a limb within Government circles by stating that UFO’s are not all weather balloons and marsh gas etc, but he totally rejects any notion that the Government knows more than it is saying. Roswell, Rendlesham Forest and Berwyn Mountains (See: http://hpanwo.blogspot.com/2011/01/ufo-down-by-andy-roberts.html ) are all incidents in which there is either a rational non-ET explanation, a mistake of some kind; or secrecy for other reasons, like weapons system details or the case being overlooked within declassification procedure etc. This has inevitably led to accusation of him being a disinformer, somebody still secretly working for the Government to quell public distrust or curiosity into their role in UFO incidents. I doubt very much that Nick is a knowing disinformer. He just doesn’t have the right personality; he’s not reserved enough, and he loves to party and let his hair down, like many Civil Service types are wont to do. When the cameras are off and the auditorium deserted, the suit and coiffure usually gets messed up as he props up the bar laughing, swearing and joking with the other speakers and delegates. There are individuals I do suspect of being paid shills, but they exhibit unusual behaviour in their private and social lives too. These individuals will remain nameless at this point, but I can confirm that Nick is not among them. 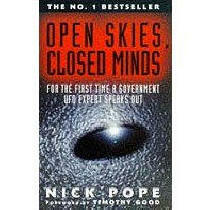 However Nick’s sincere belief that the Government has been perhaps closed-minded and bureaucratic, but nevertheless open and honest about the information it has, that there is no “saucer in a hanger”, suits the agenda of those who might know that Britain does have a saucer in a hanger, or even aliens on ice at Porton Down. This could explain why he has become the media’s first port-of-call on occasions when UFO's cannot be kept off the front pages. If I were a man in Government who knew secret information about UFO’s and aliens then Nick Pope would be the last man on Earth I’d tell! At the present time I’ve had an indication that Nick Pope’s career is about to take another new turn. This time he’s becoming interested in the very Conspiracy Theories that have so often been levelled at him. I’m a regular reader of the excellent journal UFO Matrix magazine, see: http://ufomatrix.com/ . Nick has a column in it and in the last issue he used it to give a report on the latest UFO Congress in Arizona (Sadly it’s moved from its traditional home in Laughlin, Nevada). In a comment related to Paul Hellyer’s speech he described how the speaker discussed “the banking system... There are many people in the Conspiracy Theory community who cover this subject... some are borderline racists who use the phrase ‘conspiracy of international bankers’ in an attempt to mask their anti-Semitism”. Oh dear! This is an old and very unoriginal line and I must say I’m disappointed to hear it come from Nick. I must concede that he is right in a few cases. There are Conspiracists who believe that what I call the Illuminati are Jews, and they’re hell-bent on exterminating white people, Neo-Nazis for example. But the problem with bringing up this subject is that it has a level of controversy that inevitably descends into hysteria and injustice. Anybody who talks about a global conspiracy, of any kind, is automatically branded anti-Semitic. If we protest our innocence then our accusers will claim that our denial is further proof of our guilt. We’ve seen this with Richard Warman and David Icke in Canada, see: http://video.google.com/videoplay?docid=-2912878405399014351# . If somebody accuses you of anti-Semitism then there is no defence; their case is unfalsifiable: In their eyes you are guilty no matter what you say, think or do. I cover this subject in more detail here: http://hpanwo.blogspot.com/2010/07/how-anti-semitic-are-you.html . Nick has also written about 9/11 and even debated 9/11 Truth Campaigners on TV, see: http://www.nickpope.net/911.htm . I’ve written to Nick to explain that I know that Jews are not the Illuminati "bad guys". But I do however worry about the way international finance behaves towards Planet Earth and the ordinary people who live here. As far as I'm concerned whether the bankers and Jews or Gentiles (And there are more of latter than the former in banking) is irrelevant. If anybody hears me talk about "International Bankers" they'll know that I mean it literally, not as code or a euphemism for "Jews". He’s acknowledged my email politely. Nick’s interest in general Conspiracy Theories is increasing in pace; in September when he appears at the Weird 11 Conference, see: http://www.weirdwiltshire.co.uk/weird11_ufo_paranormal.htm . You can see that his talk is going to be entitled Lizards and Lies- the Truth about Conspiracy Theories. I’m going to that conference and I’ll be hearing that speech first hand, and I withhold judgment until I’ve seen it in its entirety; however the title Nick has given it, based on previous statements he’s made, makes me guess that it’s going to be a debunker. I’ll write another article afterwards assessing what Nick actually says, but if I disagree with him, which I suspect I will, I’ll do it politely and professionally. Pope is blatantly a shill and by the way, Jewish interests dominate banking and finance, that's basic stuff. For example, both the Rothschild and Rockefeller families are Jewish. And Jews aren't the Illuminati bad guys?? Jewish interests are deeply entrenched in this conspiracy anyone who says otherwise has simply not looked at the facts. Jewish interests dominate both Hollywood and the media. All these recent wars have been against countries that just happen to be Israel's chosen enemies. As for Illuminati, there is most probably no such thing! It's unprovable, unlike Jewish influence all throughout the power structure!! Excuse me, I meant anyone who says otherwise has simply not looked at the fact, or else IS LYING. Im thankful with the article post. Awesome. pls fwd me the web link of the video clip. the CD drivers to put up. I wish you keep coming back for even more efficient tips and tech info. And always remember to tell your pals! It's possible, although I've just had it happen with black. Maybe that the cyan toner cartridge is malfunctioning, it might be rigid. Many thanks for the remedy. This worked great ! Windows XP, Vista and windows7(Residence & Expert).